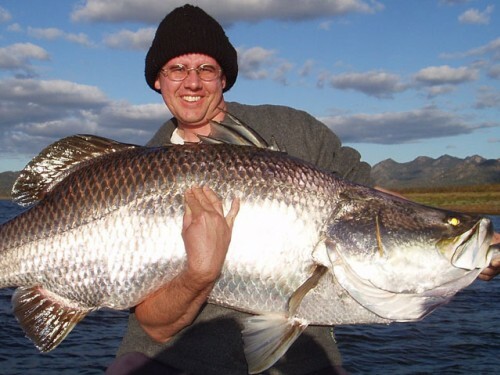 Lake Awoonga is a barramundi fishing Mecca. Over 3 million have been released over a 12 years which has created a truly sensationa challenging barramundi fishing area. Lake Awonga’s environment allows for a massive growth ratesof up to 4 kilograms per year. Due to the release and the growth rates the sizes over 32kg but not upto 40kg yet. With Mount Castletower in the background and flowing through the upper reaches of the fertile Boyne Valley, Lake Awoonga is approximately 25 km from the coast near Gladstone. 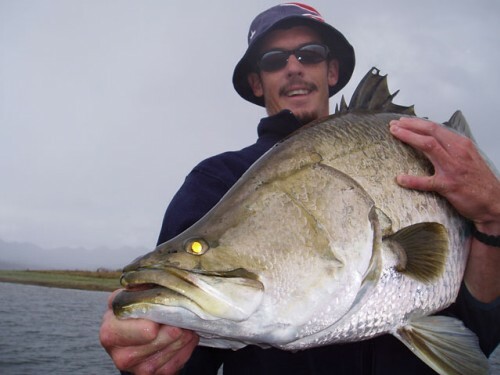 Barramundi can be caught all year round here both during the day and the night. Our charters operate all 12 months of the year. We offer a personalised guided charter fishing which is designed to help individuals reach personal goals. The gear we supply is very user friendly and especially easy to use. Extra tuition is offered to maximize your chances of landing a barra. A a very experienced guide, rods and reels. 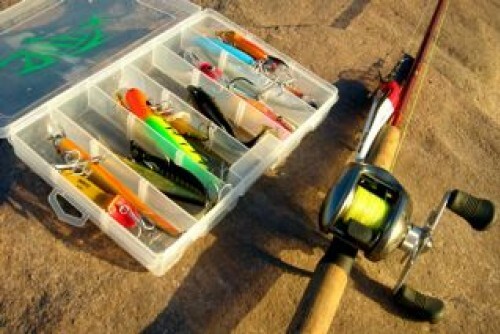 Tackle boxes loaded with Johnny’s individually modified and hand-tuned lures. Your guide has hundreds of clues that cannot all be taught in 5 hrs, but he will fine tune the best points to suit the angler’s skill. From freshwater to saltwater techniques, a Lake Awoonga fishing charter can be tailored to suit your needs. Our trips are designed to accommodate 1 or 2 anglers plus the guide and is thus very personal and informative. Price: $350pp 2 anglers, $375 1 angler. 2 days or more $330pp 2 anglers, $350 pp 1 angler. All days are 5 hours. Departure Point: Boat ramp next to the dam wall. Inclusions: Quality rods & reels and all the necessary gear, snacks and drinks. Johnny Mitchell is Lake Awoonga’s most highly requested barra fishing guide. He was born and bred in Gladstone, next door to Lake Awoonga. He has plenty of experience with barramundi which includes 22 years of saltwater barramundi fishing from the Northern Territory to Gladstone. On top of that he has almost 13 years of impoundment barramundi fishing experience here at Lake Awoonga. Johnny has spent more than 9 years filming the activities of wildlife species like birds, wild pigs, dingoes, wild cattle and foxes, on a coastal island off Gladstone. He was also expanded to underwater footage, filming many ocean going creatures. Johnny has also spent 6 years as a deckhand, working on many reef fishing charter operations, also on scuba, spear fishing and free-diving vessels. Johnny has a custom made 4.5 m boat powered by a 50hp Yamaha motor and 2 55hp electric motors for the stelth approach. 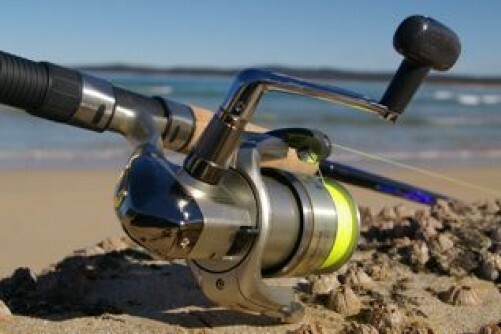 It is extremely well suited to barra fishing and fly fishing on Lake Awoonga.